Can science really validate alternative medicine? What can be said about differences between alternative and so-called Western medicine? Which is more effective and used? It is true that modern medicine has developed only in the last couple of centuries. When we look at the history of alternative medicine and modern medicine, some would say that modern methods could not be as effective as those that have existed for many centuries, some even longer than millennium. Still, whenever someone is asked which method of healing they would use, modern methods almost always win. There are many benefits of modern medicine that place it before any other type of medicine, and those benefits are generally created thanks to science development. For example, diagnostic methods have been improved almost to perfection. Ultrasound, the use of biological markers, X-rays, MRI scan, CAT scan etc., these are but few of all those methods that use science in diagnostic process. Another improvement is evident in emergency situations. Using electroshock for heart reviving is enough said on this matter. There are also ways of sustaining life even if brain functions are gone. Performing all sorts of operations on every organ and tissue in the organism is yet another achievement of the modern medicine. There is only one problem with all this. All of these depend on electricity, which means that in case electricity were gone, most of modern methods and procedures would not be possible to perform. Acupuncture, Ayurveda, reiki, reflexology, these are just a few of many alternative medicines spread widely all over the world. It can be said that the understanding of healing and recovery is tightly connected to religious beliefs. At least this goes for alternative methods, especially those that come from Asia (most of those methods originate from Asia). Even though some would easily underestimate the procedures and explanations behind their methods, they can be effective with some conditions and there are many Testimonies of people that have been applying those methods and were healed and recovered. Interesting thing is that most of the alternative methods use some herbs that can also be found in some modern medications (though in refined, concentrated form). There is only one question left here – can science really validate alternative medicine? The answer cannot be a simple yes or no, since the Western medicine is most spread, known and used by all. However, this does not mean that alternative medicine is without positive effects. Simply put, modern medicine is used more at the moment, but if the need ever rises, old, alternative methods will and should be used. Is Orthomolecular therapy accepted by Western medicine? Traditional Chinese Medicine and Type 1 diabetes? Has anyone been cured of an illness by Reiki? Alternative Med and Panic disorder? TCM less popular in Chine than in the West? 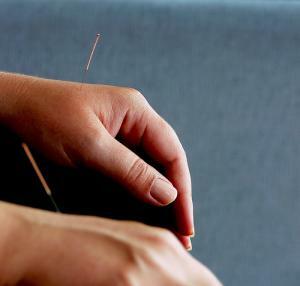 Traditional chinese medicine - is it safe?